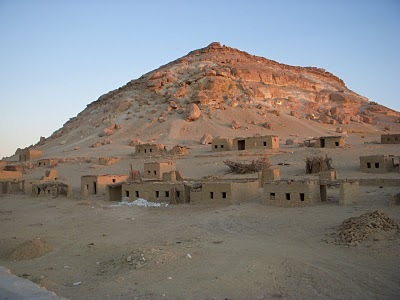 The Rented House – Siwa. 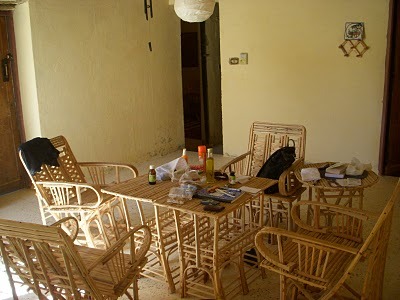 This is the house I rented for one week for only 250.00 LE. So what did I learn from this. 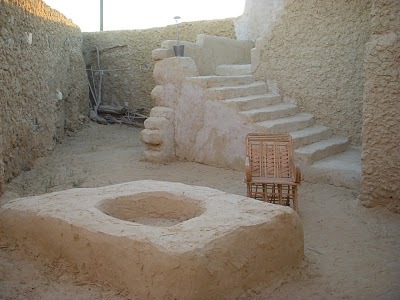 Renting this house helped myself accept the infrastructure of Egypt. Basically, everything is made from cement. The first day there was no water, the people I rented the flat from did bring me water for the day. Big time roughing it. The morning I went an filled the jug up myself and carried it home. Then the water was working after that day. I also did my own laundry by hand. That’s the way everyone does it out here. I can say one thing, I could rough it back in Santa Cruz by living in a truck or van, go to the gym everyday for a shower, keep my stuff in a storage locker, and I will still be spoiled living this way in America. I do know this because I lived this way for one year in 2000-2001. Living this way was by choice and a good experience. Although, still spoiled. Why is this? The infrastructure – bottom line. 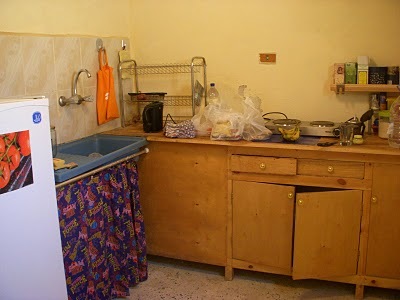 The kitchen, do you notice a oven ? The sitting room. All the furniture is built this way. My rear end got use to it. 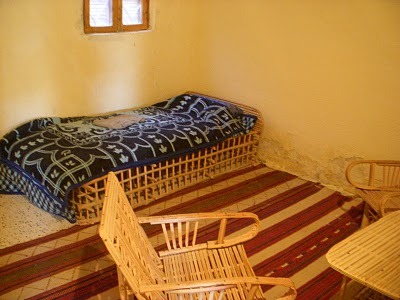 One of the bed rooms, there are four in this house. 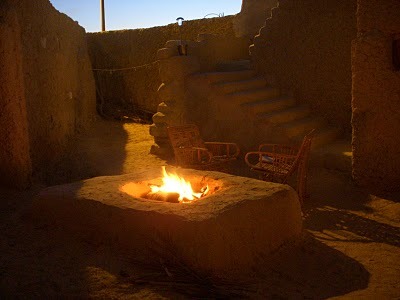 The fire pit, I guess this is the oven, lol. The neighborhood. This area is where they have the festival every October. Quite the gathering I guess. 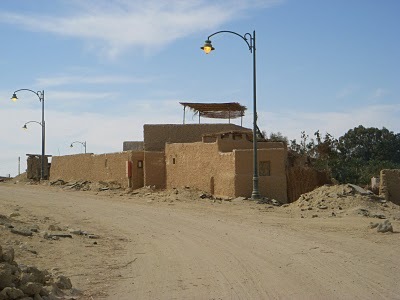 The mud brick house from the road. 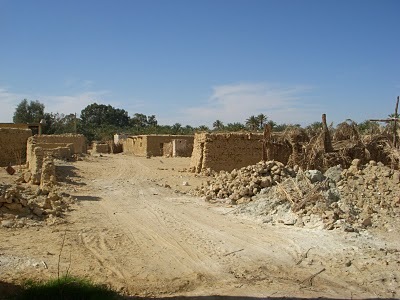 The backyard of mudbrick houses. Next post: The Pyramids – The Last Wonder. Previous post: The Egyptian Museum.